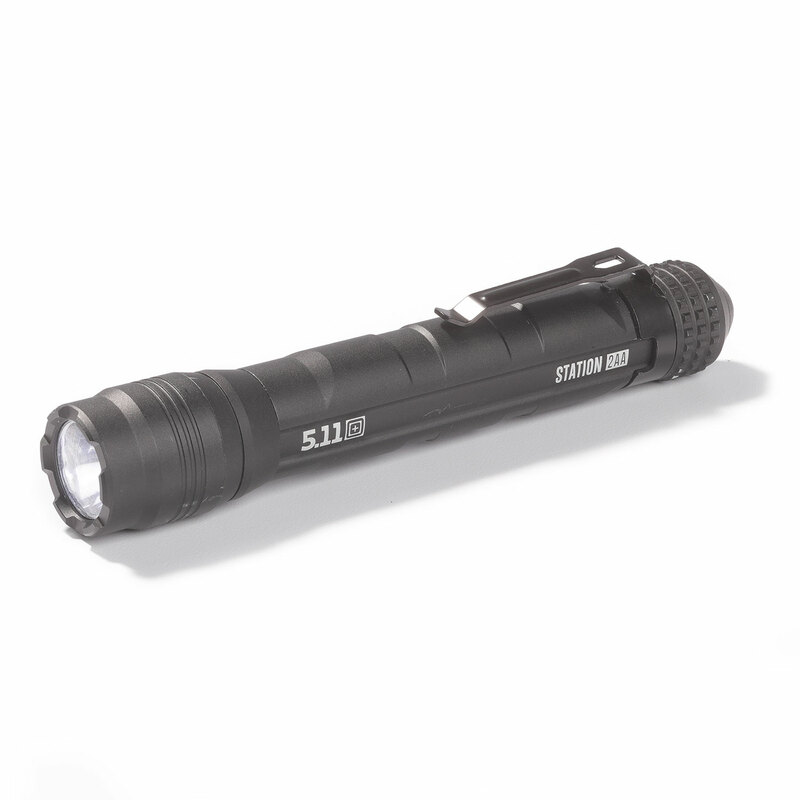 5.11’s Station series flashlights feature durable aircraft grade aluminum construction to stand up to hard use. ANSI FL1 and IPX-4 water resistant. Impact resistant up to 1 meter. 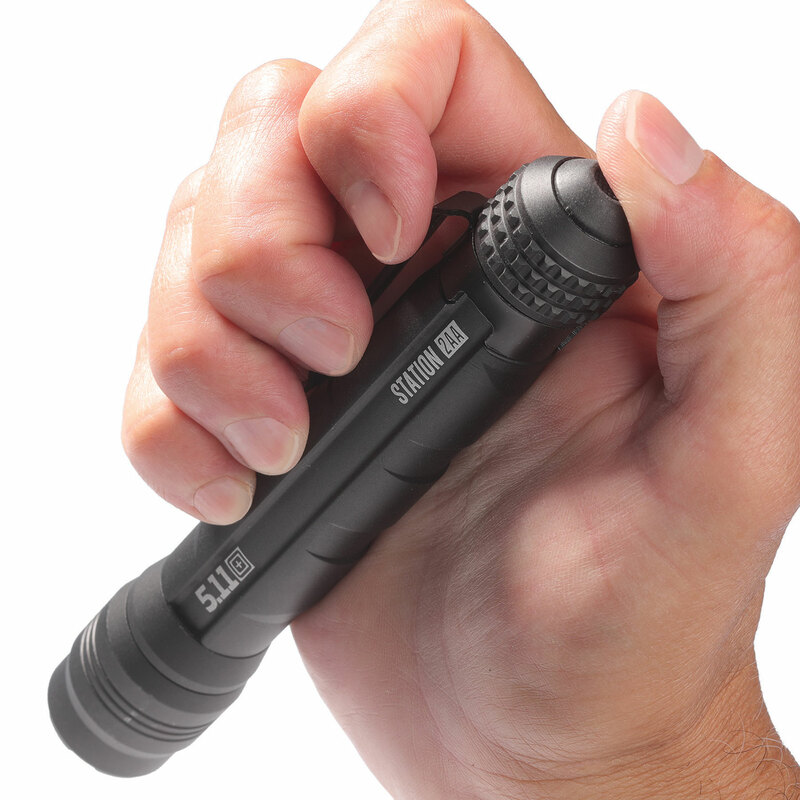 A tail mounted switch allows multiple grips for versatile deployment. 6.1875" length; 0.95" body diameter; weighs 5 oz.